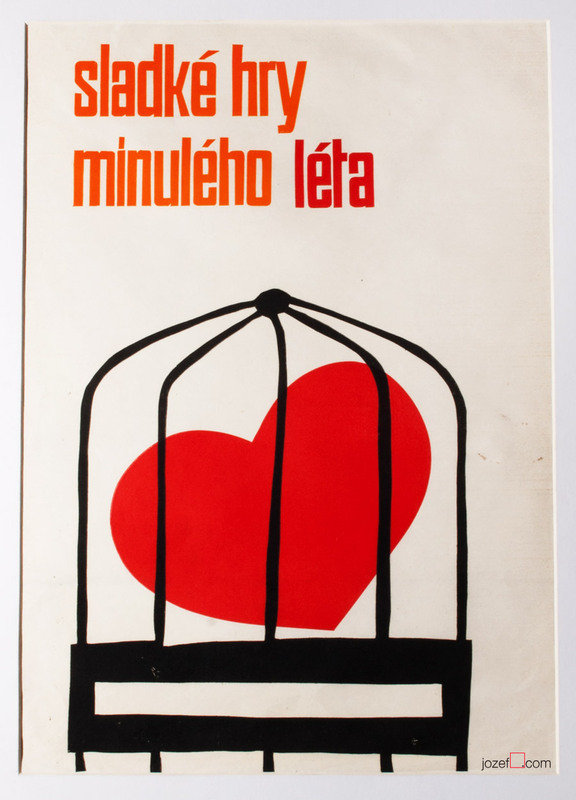 Poster Designs, History of Poster Art in Czechoslovakia. Home / Poster Designs – Anonymous Artists / Sixties. The story of film posters. 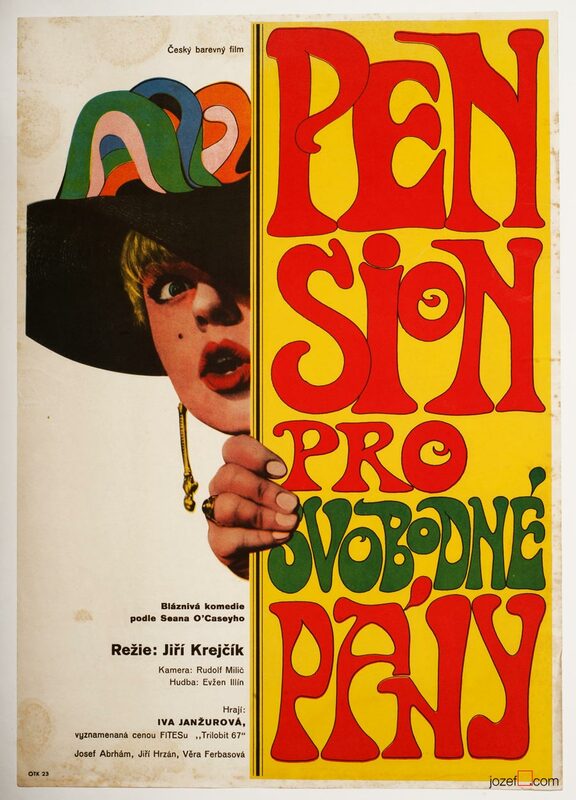 Poster Designs – Anonymous Artists / Sixties. The story of film posters. Movie posters in history. Showcase of 1960s poster designs. 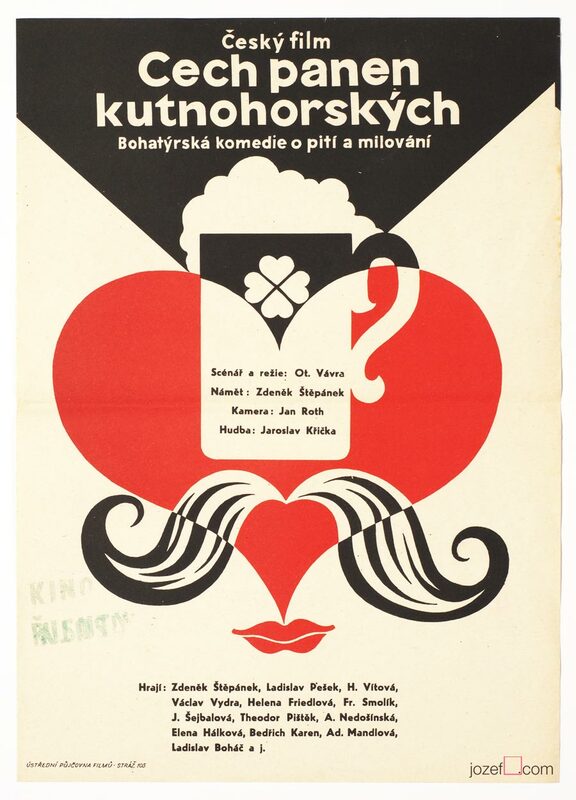 It would be very hard to define a common practice or visual language of Anonymous poster designers in Czechoslovakia. Even harder with Sixties, as the period offered so much surprises and unpredictable twists in both politics and culture. It seems like one can never live without the other (somehow never in successful harmony). Specially politicians were always dependant on cultural demagogy, using visual propaganda to their needs. Knights of the Black Cross movie poster by Unknown Artist, 1961. 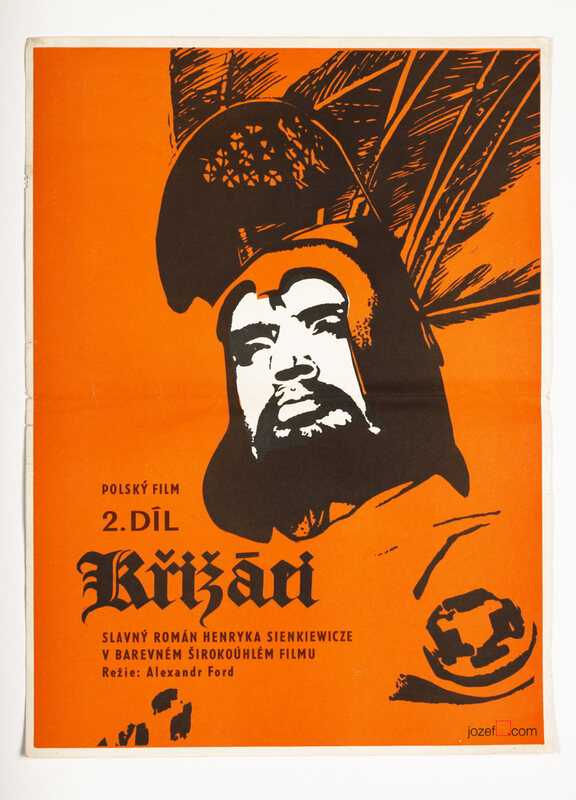 Knights of the Black Cross II movie poster by Unknown Artist, 1961. Careful and very modern selection of colours was used for both parts of Knights of the Black Cross, 1961. 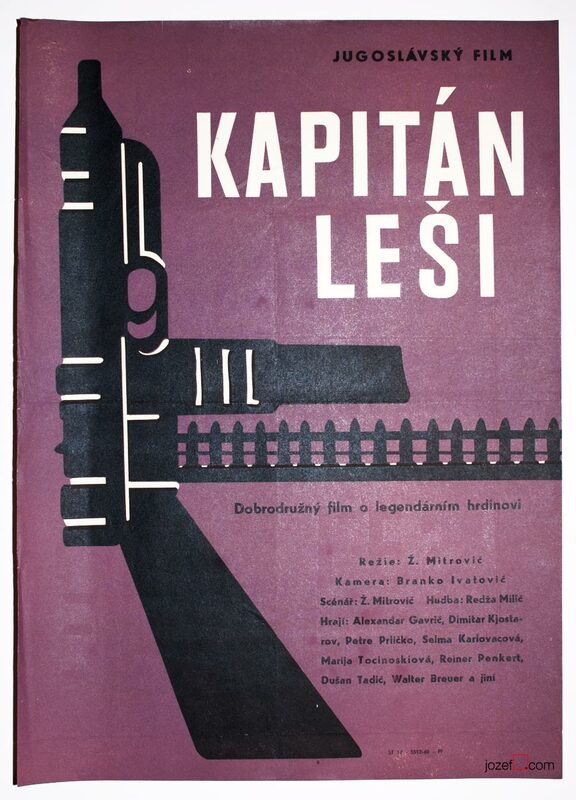 Captain Lechi movie poster by Unknown Artist, 1963. Captain Lechi 2 movie poster Unknown Artist, 1963. War movies were always highlights, particularly those showing war heroes in Socialist sort of way. Ongoing currency, no matter what’s the weather. 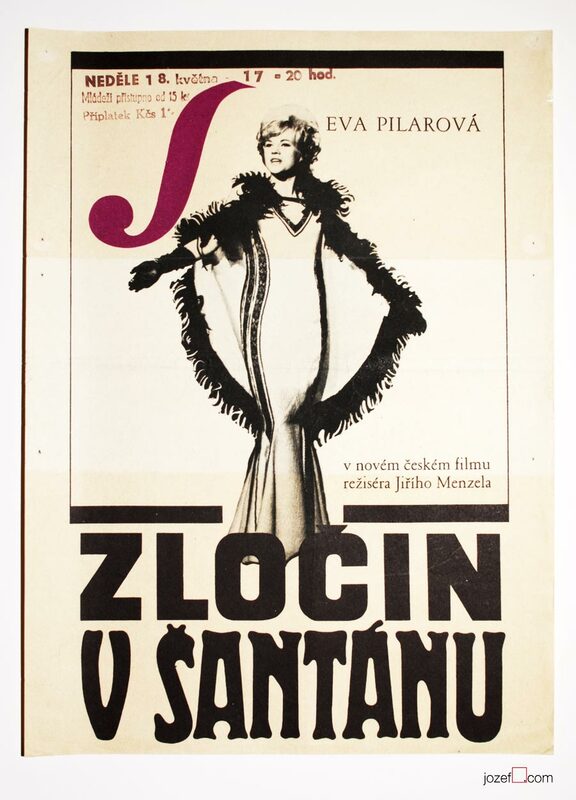 The Guild of the Kutná Hora Virgins movie poster by Unknown Artist, 1964. 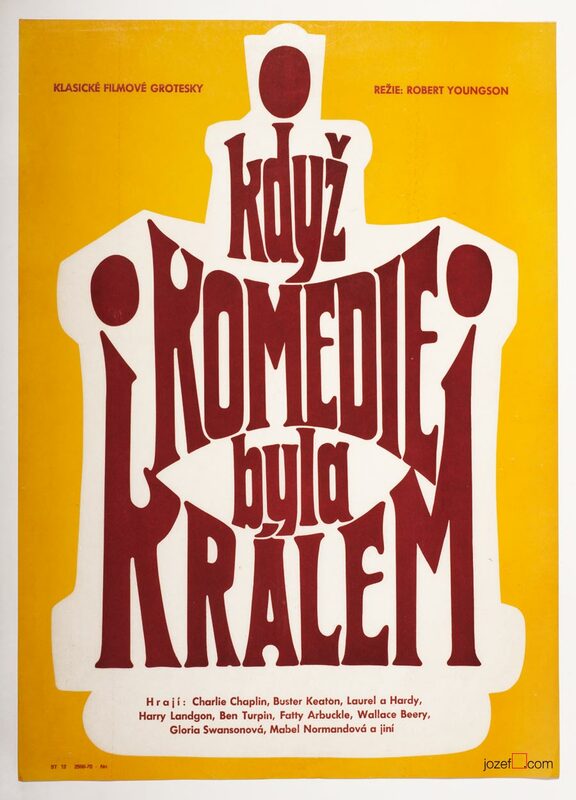 When Comedy Was King movie poster by Unknown Artist, 1965. Symbols, hints and playful thoughts were always around poster making. There is nothing unusual about Anonymous artists (if own decision), but being unknown artist in the discipline, where displaying signature is relevant/appropriate (n. Karel Vaca, Dobroslav Foll, Karel Teissig and others) raises several questions. 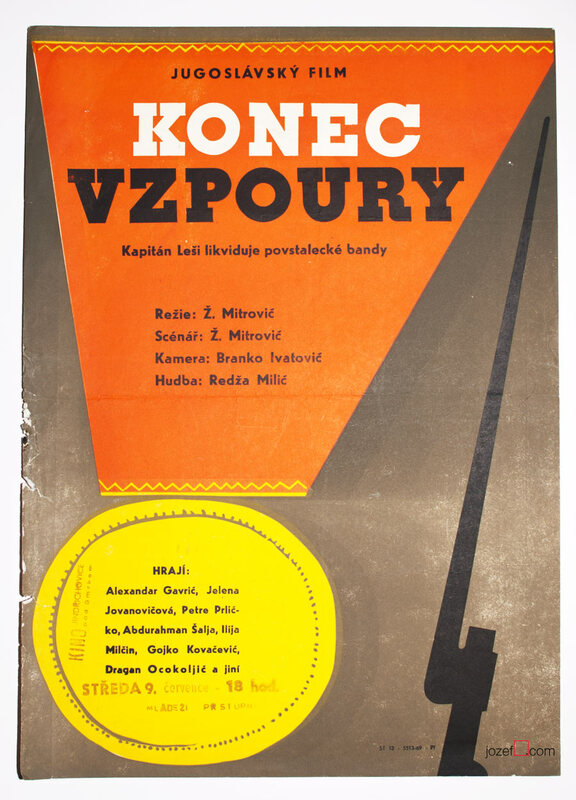 Earlier in the second part of our article on history of poster art in Czechoslovakia we have mentioned censorship as the part / instrument of the Communist doctrine. Communist party was the one and only expert on art, which might sound funny but the reality was not so much, Social Realism did exist, after all. 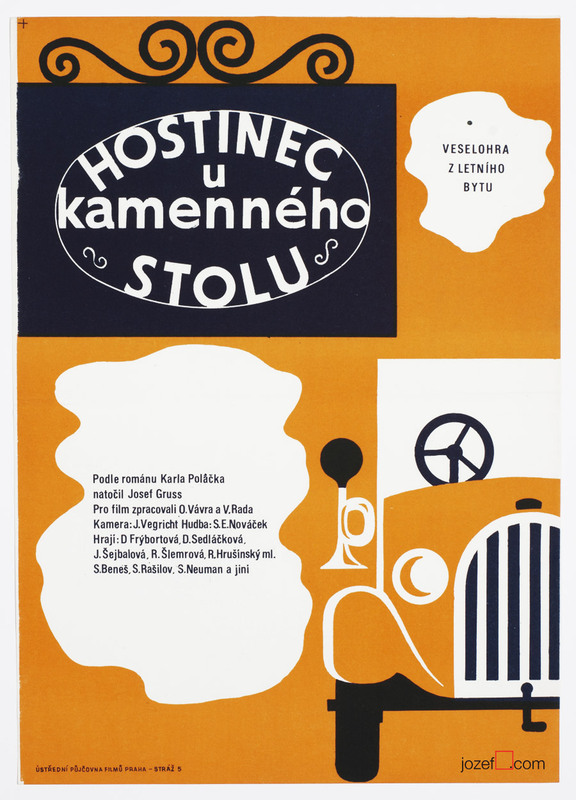 In addition to films ÚPF (Ústřední Půjčovna Filmů/ Formal state distribution 1957 – 1991) was also commissioning movie posters. Both were deciding what could be shown in the cinemas. Were they somehow responsible for hiding artists identity? Fists in the Pocket movie poster by Unknown Artist, 1965. 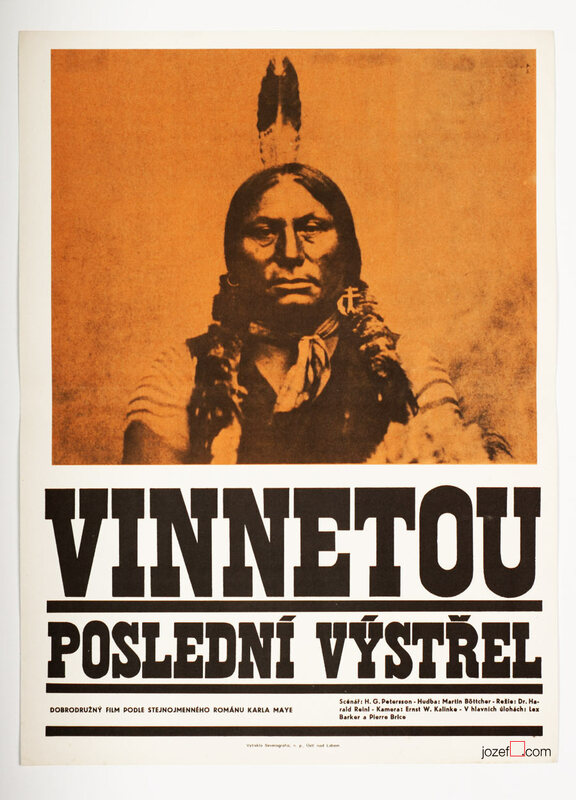 Winnetou, The Last Shot movie poster by Unknown Artist, 1966. Storm Rises movie poster by Unknown Artist, 1967. 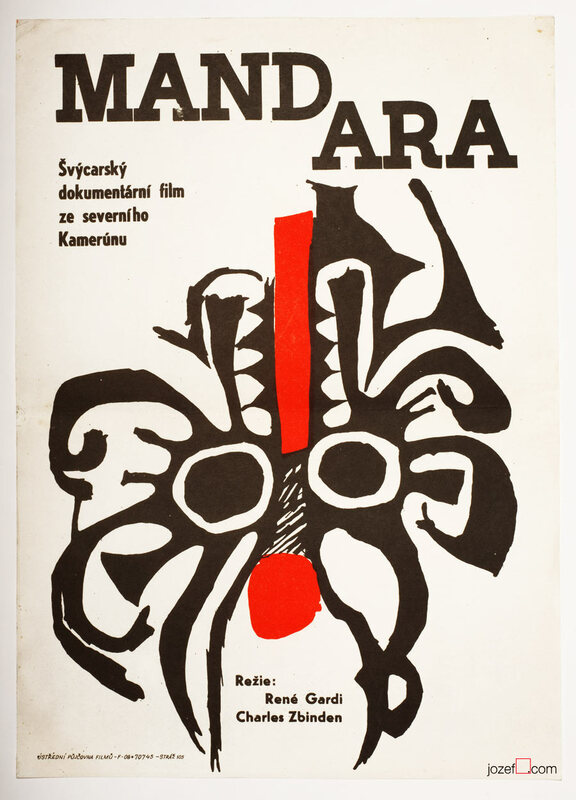 Mandara movie poster by Unknown Artist, 1967. The Demolition Squad movie poster by Unknown Artist, 1967. Boarding House for Bachelors movie poster by Unknown Artist, 1968. From Switzerland to Vietnam, poster designs made by Unknown Artists covered all sorts of spectacular, if not even controversial movies. We know that the film poster committee always consisted of few graphic artists (2-3). They would constantly try to give green light to the proposed poster designs. Were they also turning the blind eye to help fellow artists (obstacle/potential traitors and pests1) in getting at least some sort of a commission? We believe it could be possible as the demand for the movies was quite high and each movie had to have its own poster. Still, for some reasons several artists had to remain unknown. Riders in the Sky movie poster by Unknown Artist, 1968. Crime in the Night Club movie poster by Unknown Artist, 1968. By the end of Sixties photography techniques were commonly used in various poster designs. Above another example of photograph overtaking the space. 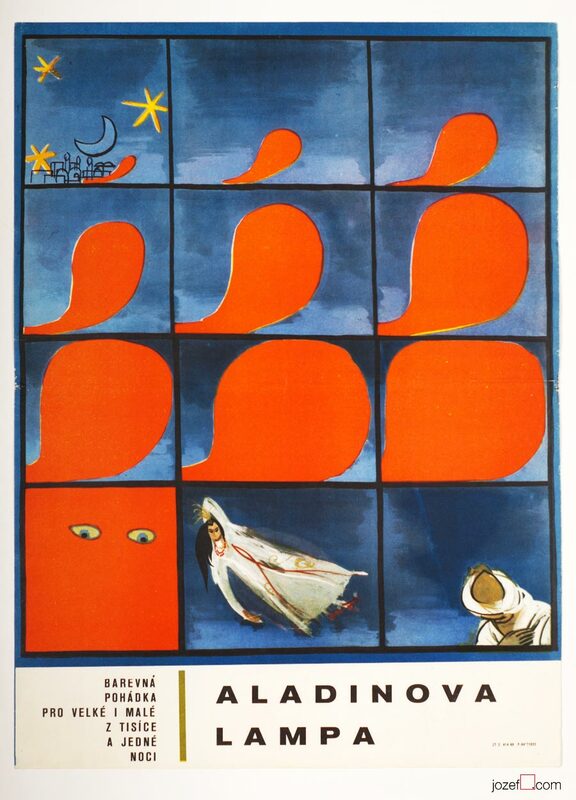 Aladdin and His Magic Lamp movie poster by Unknown Artist, 1968. The Sweet Games of Last Summer movie poster by Unknown Artist, 1969. 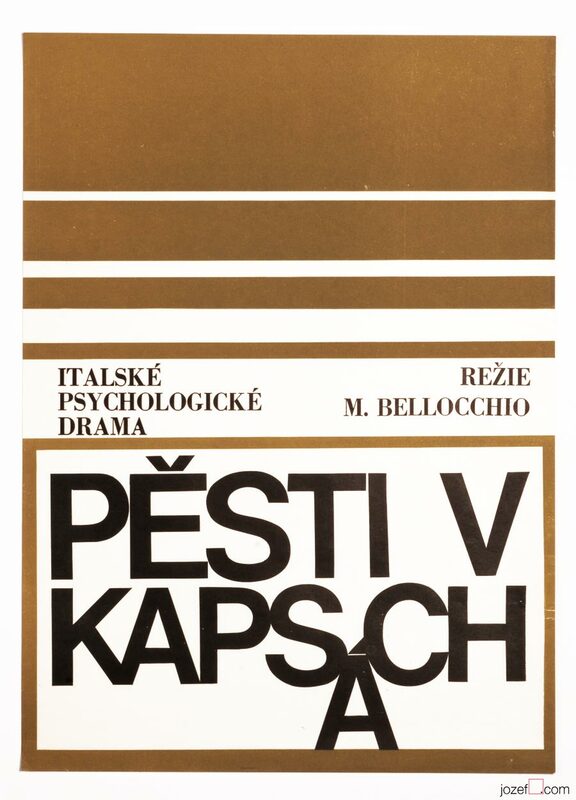 The Sweet Games of Last Summer (1970), based on Guy de Maupassant’s novel was premiered in Czechoslovakia only once. Film directed by Juraj Herz (The Cremator) came back to distribution again in 19882. Inn at the Stone Table movie poster by Unknown Artist, 1969. Dancing Party in Hitler’s Headquarters movie poster by Unknown Artist, 1969. Looking at their movie posters many years later, we can observe some fascinating poster designs. 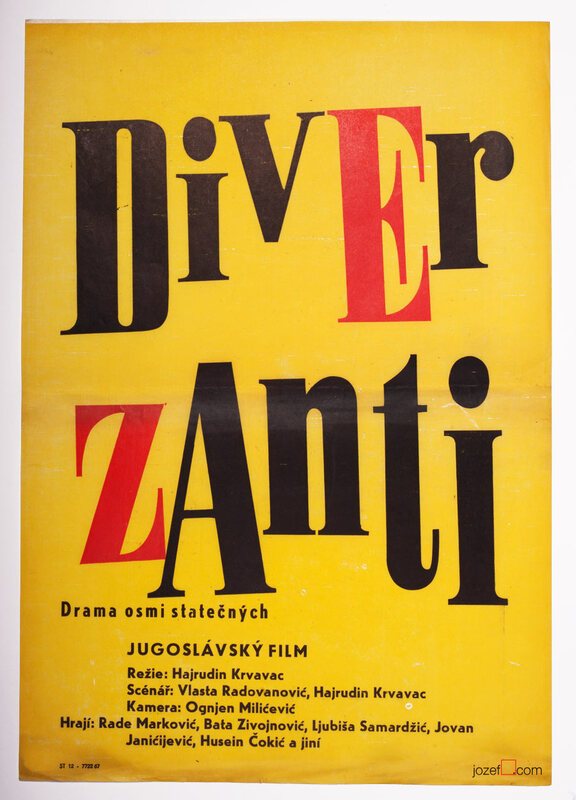 They do not lack any of the visual qualities of other Czechoslovak poster artists. The pity is, they could never take part in any of the ongoing poster exhibitions of the time. We will possibly never be able to find out who were the authors of those magnificent movie posters, or how many artists were creating anonymously, but they surely deserve our appreciation. Until 1989 hundreds of poster designs were created by Unknown artists. There was no one to hide from after that. 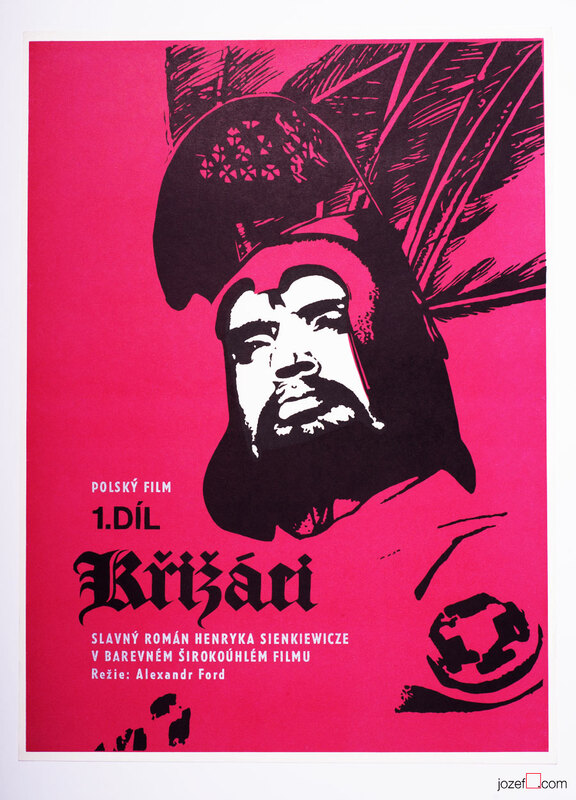 Poster Art / Made in Czechoslovakia. The story of film posters. Take 1. 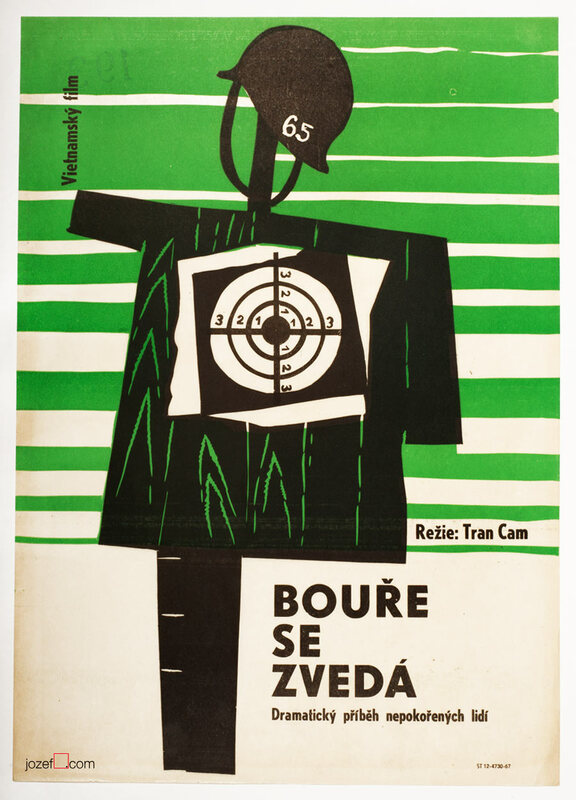 Poster Art / Made in Czechoslovakia. The story of film posters. Take 2. Other posters designs by Unknown artists on jozefSquare. For shop and blog highlights SUBSCRIBE to our newsletter. 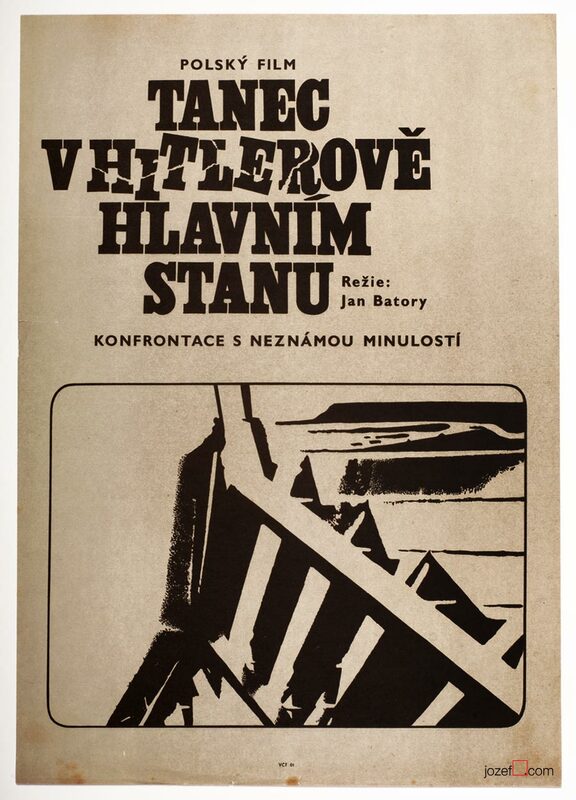 ← Poster Art / Made in Czechoslovakia. The story of film posters. Take 2.